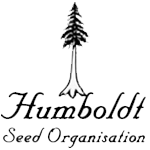 Humboldt Seed Organisation - Lemon Thai Kush. Free US delivery. Lemon Thai Kush is a 60% sativa strain that is quite fast-flowering with good yields of buds that have the flavour of Haze. Its parents are Haze and White Widow strains. Lemon Thai Kush boasts the resin production of White Widow with the unique Haze organoleptic profile. It will grow indoors as well as outdoors in a warm climate producing long buds exuding the scent of fresh flowers. Indoors growers can expect to harvest between 350 - 525 gr/m2 in 60 - 65 days flowering. Outdoors yields are an impressive 2 - 3 kilos from each plant and they can grow to a height of 4 meters in ideal conditions. In the northern hemisphere harvest time will be in mid-October. 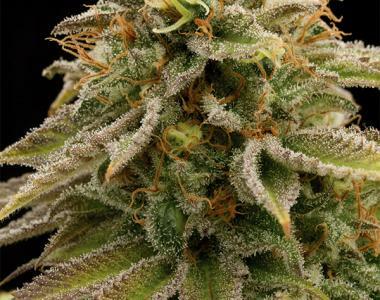 The aroma produced by Thai Lemon Kush is complex and has the qualities of citrus, fresh flowers and cedar. Its flavour is rich and intense reminding the smoker of lemon, pine, pepper and noble woods. THC production is high and ranges between 16% - 20%. CBD levels are low at 0.1% resulting in an effect that is powerful, long-lasting and more towards the cerebral than the physical. This cannabis strain is not recommended for the inexperienced smoker.